An original blues composition inspired in part by Hendrix's childhood hero, Muddy Waters, USA Today reports the tune is one of the last songs the Experience recorded together, amid simmering tensions between the guitarist and bassist Noel Redding. 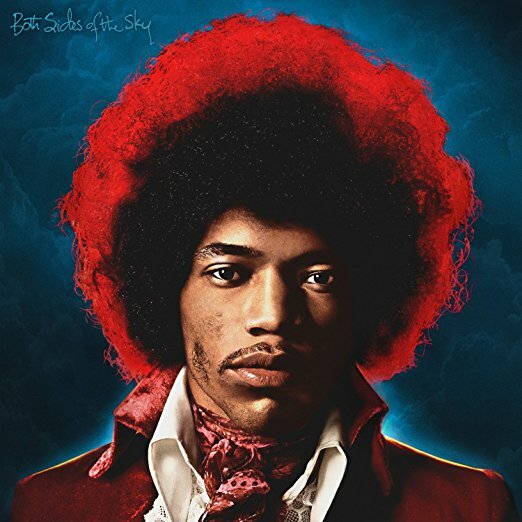 "What I love about this is you got Noel pretty much driving the band, because I think he's aware that he's out," says Eddie Kramer, a recording engineer who worked on all of Hendrix's records until the artist's death in 1970 at age 27. "You've got three musicians in the studio, a little bit of angst and the bass player pushing up against Jimi – it yielded a magnificent take." "There was an undercurrent of Noel wanting to be a solo artist and be recognized on his own," adds co-producer and Hendrix historian John McDermott. "But when they put their focus together on a song or a concert, they had a tremendous chemistry. It's evident to anybody." “Hear My Train A Comin’” follows Hendrix’s previously-unreleased cover of the Muddy Waters classic, “Mannish Boy”, as the second tune issued in advance of the project’s release on March 9. “Both Sides Of The Sky” includes guest appearances by Buddy Miles, Billy Cox, Johnny Winter, Stephen Stills and Lonnie Youngblood.